Slaves were the source of the plantation. They lived in little cabins, many slaves were put into a crowded cabin. There were two types of slaves. House salves and field slaves. House slaves did the inside work. For example, they cooked, andcared for the planter's children. House slaves, or field slaves they were all put to work hard. If slaves dissobeyed they would get branded, whipped, and some actually get a leg tendon cut so they wouldn't run away.Even driver slaves were put to work hard. Sometimes they were forced to whip their friends, and even family. A mother who was a house slave usually was seperated from her child. House and drivee slaves were treated better than field slaves. They got better food, better clothing and better shelter. Slaves kept their cultural heritage- The customs, language, art, and beliefs. 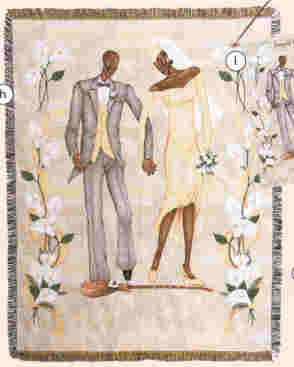 For example jumping the broom was a way of getting married. Slaves had two names, their name their master gave them, and their original name. Slaves found comfort and identity in thei own slave community.